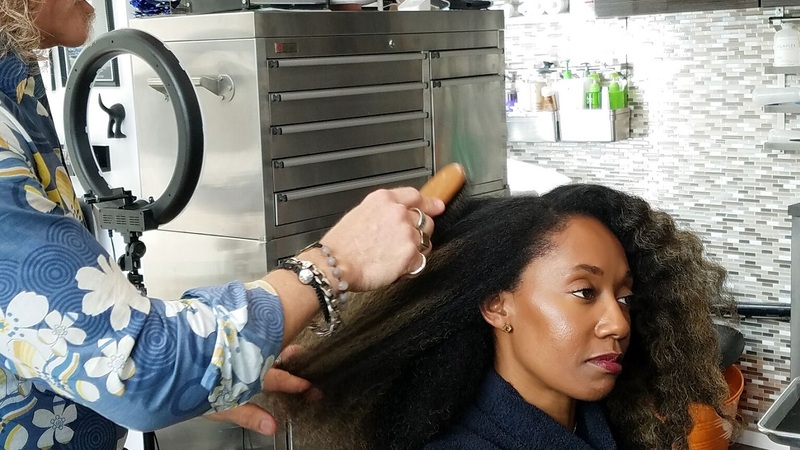 As a person of color I generally feel that we — we being my fellow ethnic peoples — have to seriously think twice about who touches our hair. I mean, without sounding some kind of way… it’s very rare that I, personally, would allow someone not very experienced with styling/coloring textured (aka black hair) to test their skills out on me. 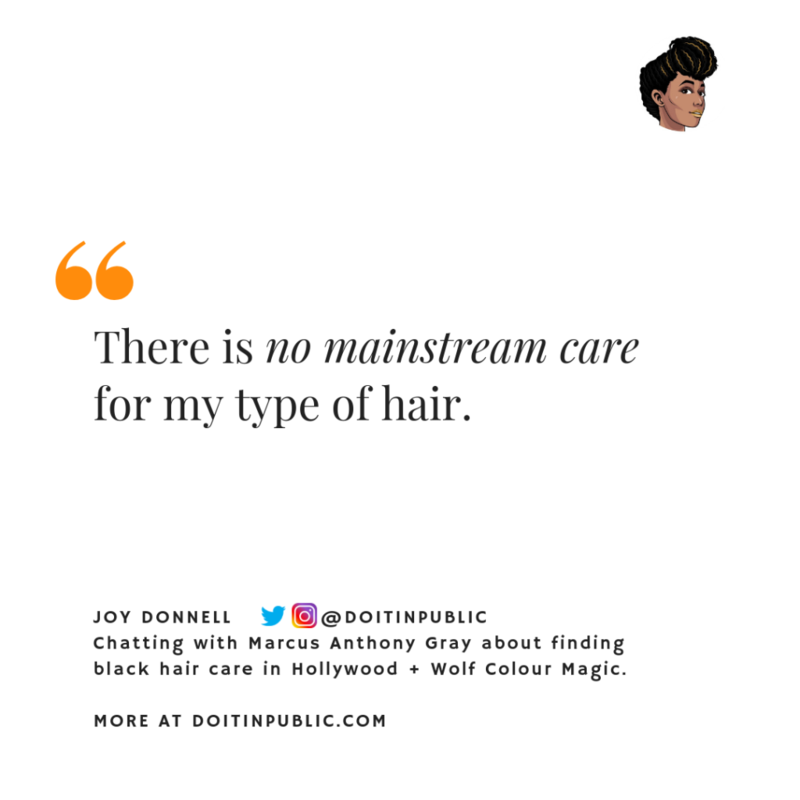 So I’m sure when I reached out to Joy Donnell, Editor-in-Chief and CEO of Vanichi, and asked if she’d like to come in and experience my personal colorist|hair stylist, Wolf (who I have to say just for context is a white male), I’m sure she was a little hesitant at first. However, after listening to me gush a bit and share how when I first met Wolf he was working on recording artist Keyshia Cole, I think any hesitation she may have had was assuaged. I’ve been going to Wolf for nearly a decade now, following him from Beverly Hills to Hollywood. He’s now branched out on his own with Wolf Colour Magic located in Salon Republic Hollywood. He’s essentially been the only stylist to care for my hair the entire time I’m been living in LaLa Land and he’s never steered me wrong. Celebrity stylists to some of Hollywood’s leading actors + musicians, I’ve been quite fortunate to be able to include my name to his impressive clientele list. And me…to name a few. Recently, Joy was also able to experience first hand the Magic that is Wolf. I sat with her afterwards to chat a bit about her experience as well as prior hair moments she’s had — the good, the bad, and the ugly. Marcus Gray // How in the past have you generally chosen who you’d trust to touch your hair? I know prior to Wolf I bounced around quite often. Joy Donnell // I really didn’t bounce around a lot — I’ve been pretty loyal. Especially since I took my hair stylist through a very rigorous gauntlet prior to accepting them as my “person”. I have a lot of hair, at least 4 to 5 strands growing out of each follicle. Plus, my hair has several different textures from tight to loose curls. I have enough hair for 4 people, so I have to make sure I’ve found someone comfortable working with natural hair, and specifically my hair. Wolf adding layers of color to Joy’s hair. M // Give it to me straight: The good, the bad, the ugly… what have you had to endure in the past? J // With my personal hair dressers there’s really only ever been good & beautiful moments. The bad & ugly — well that was definitely when I modeled — seriously, every time I went on a shoot, I was afraid my hair would be snatched out of my head. It got to a point in my career that I began to prepare my own hair because the stylists on set hardly ever knew how to work with my texture. While my white (model) counterparts were able to have different hair styles with each of their looks, my hair remained the same as a result of the lack of knowledge of the stylists on set. M // Is location a key factor for you, especially in LA “the city of traffic”? J // Being a woman of color, I will travel over the river, through the woods, by air, by sea and even by caravan for someone who loves and cares for my hair. M // What did you think about Salon Republic and Wolf’s mini salon within? J // Salon Republic is well laid out and I love Wolf’s mini salon! His place is intimate, yet spacious. With the amount of light filtering in through the large windows you don’t feel like your trapped inside a building all day. In a few words it was – lovely, intimate, and had a great flow of energy. M // OK – your overall experience with Wolf and the final outcome… how was it? J // My experience was great and pleasantly not the norm of when you sit with a new stylist. He actually spoke to me about my hair and made no assumptions. He asked questions regarding my hair routine, what I liked and what makes me feel beautiful. He really took the time and care to get to know me and understand my hair. And the color. The color was spectacular, vibrant, and afterwards my hair was (and looked) conditioned and quite healthy. And the color remained vibrant long after our time together. Overall it was really just a beautiful experience.